Ryan A. Devlin | Joel H. Schwartz, P.C. 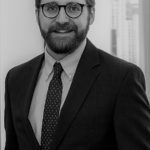 Ryan Devlin is an Associate at Joel H. Schwartz, P.C. whose practice focuses on personal injury litigation, including motor vehicle accidents, slip and fall incidents, and other general liability negligence claims. He practices throughout Massachusetts in both the Superior and District Courts. Ryan also handles probate and estate administration matters. Before joining Joel H. Schwartz, P.C., Ryan was an associate at a South Shore firm focusing on personal injury, probate and family law, real estate transactions and general civil litigation. Ryan received his B.A. in Philosophy and Classical Languages from Saint Michael’s College and his J.D. from New England School of Law. He is admitted to the Massachusetts Bar and the United States District Court for the District of Massachusetts. Ryan lives on the North Shore with his wife and their Bernese Mountain Dog. In his spare time he enjoys reading, writing music and following Boston sports.